I skipped buying boxes. 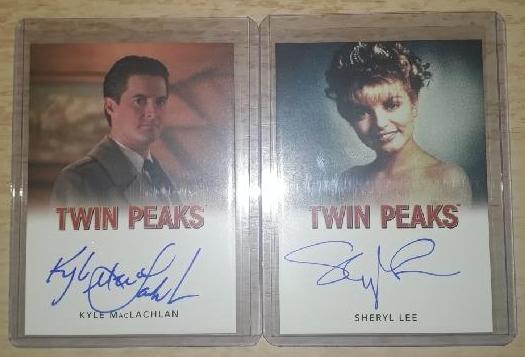 I only bought Kyle and Sheryl auto cards and I'm happier than ever. Jerry Horne wrote: The binder only comes with one sheet. So you will need to buy a box of 9-slot pages. There should be enough room in a binder for the base set plus all chase sets. I haven't filled mine yet but it looks that way. Nice one Jerry. I’ll get on that. Jerry Horne wrote: Do you mean the binder (Collector's album)? Anybody purchase any of the auto cards on eBay yet? Hhmm intriguing. Never dawned on me that FWWM wouldn’t be included in this.